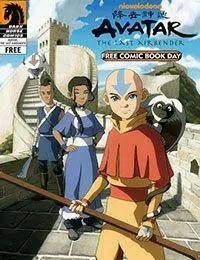 Johane Matte, J. Torres, Ryder Wyndam Johane Matte, Gurihiru, Ben Dewey Dark Horse is thrilled to bring to readers of all ages Nickelodeons Avatar: The Last Airbender and Star Wars: The Clone Wars. Both FCBD stories are excellent entry points to these wonderfully charming and imaginative worlds! o A spin-off television miniseries Avatar: Legend of Korra will premiere on Nickelodeon in 2011! o Features Savage Opress - the vicious new character from The Clone Wars TV show, as well as Breakout Squad, from Grosset &amp; Dunlaps Clone Wars: Secret Missions novels!